The Society has the aim to promote the awareness of Marie Schmolka. We would like to see her commemorated both in Prague and London, and install memorial plaques in Kamzíkova and Gospel Oak, Lissenden Gardens. Moreover, we aim to promote research into women social workers during the Holocaust, whose role is far too often erased. To this end, we seek donations to support for commemorative plaques, organize annual research workshops, and to announce a periodic prize for best article on women social workers during the Holocaust. 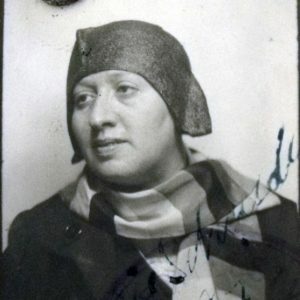 We gratefully acknowledge the support of the Czech National Archives who allowed the use of Marie Schmolka’s passport photographs.